The 1220 makes the best sound of all my guitars and is in close contention with my RG1520 for the position of 'overall favourite'! Satchriossi I really like that 1220. 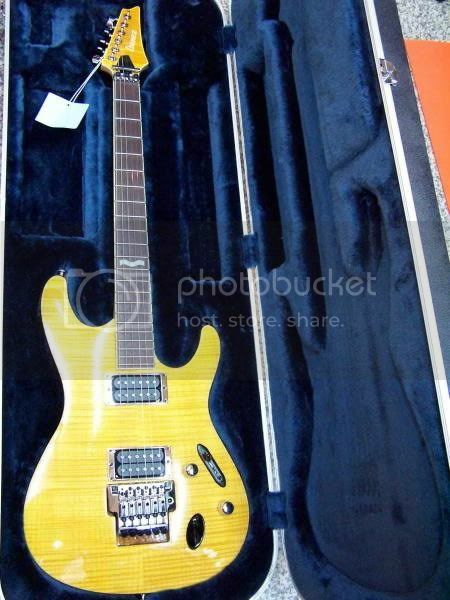 I want to get a HH S Series guitar one day. 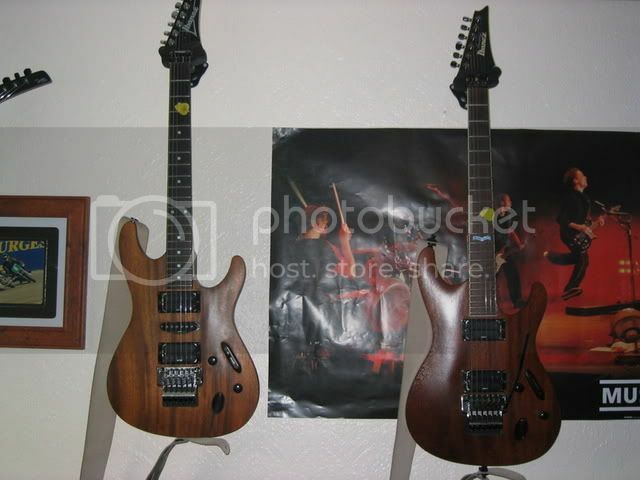 damit i want those stained oil finish too.. why can't they make them anymore? Well, first they need to start making some in japan again. They also need to put the new ones on a diet. They are heavy fat hogs by comparison. I like the stained oil too. 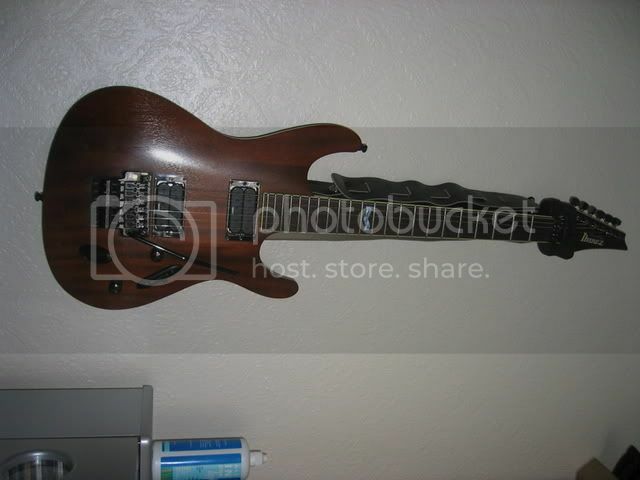 That's almost the perfect guitar. IMHO. I wonder why they routed so much space behind the trem??? I always thought as soon as 03 hit they began seperating the trems...ZR for S's and EP's for RG's??? How did that one get made? That looks fantastic though. Absolutely delicious. I think it's a 92.
never seen one with an edge pro in before. must say, all the MIJ prestige sabres w H-H p/ups do it for me. S2120x is next on the GAS list and i also quite like some of the first ones that came with ZR trems. There are various finishes that i like - if money were no object i'd collect them all! 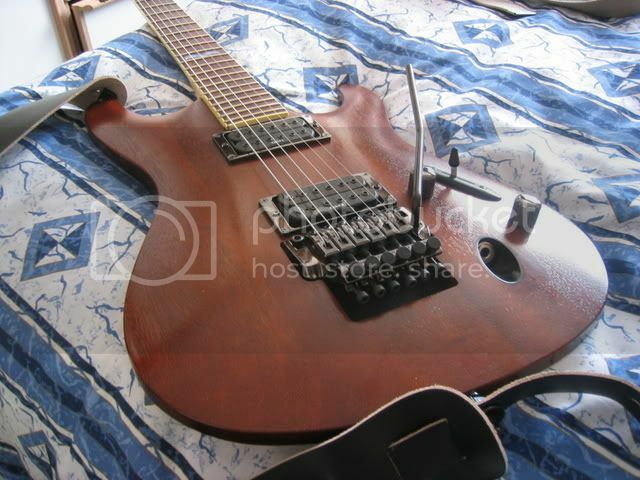 Ibanez does need to make the prestige ones in Japan again and needs to come up with more 7 string options. The s7420 is the only one we're likely to come across on the 'bay. 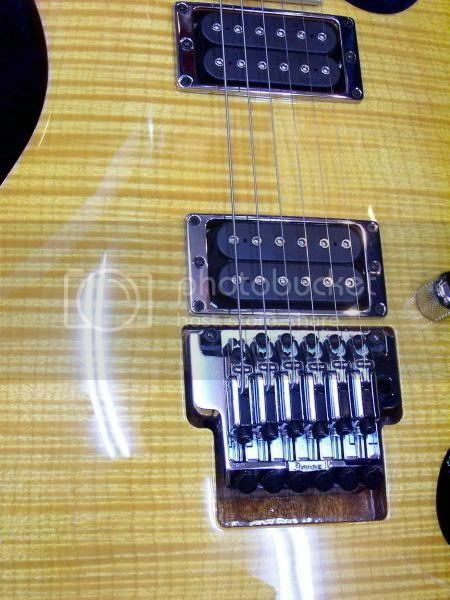 If it were up to me they'd make a 24 fret, 7 string version of every model!